English pop/jazz singer active since the '60s (she was a member of Vinegar Joe prior to going solo). UK hits include: "Pearl's A Singer","Lilac Wine" and "No More The Fool", as well as the successful "Pearls" album series. 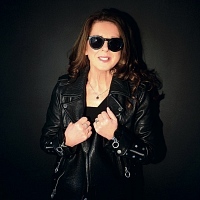 Wed 5th Jun 2019 Elkie BrooksSt David's Hall (Cardiff)More Info.. Sat 19th Oct 2019 Elkie BrooksSt Georges Hall (Bradford)More Info..